Y’all, this is such an easy and delicious week night meal! 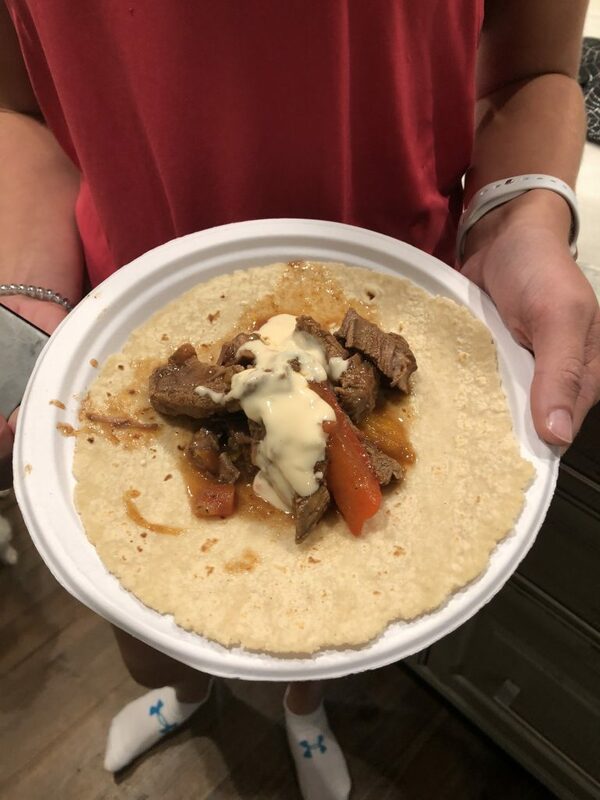 Every Mom should have these CrockPot Steak Fajitas in the weekly rotation. Here is the deal, its only 5 ingredients and you literally dump and go. I will include the insanely simple ingredient list below, but this is how you dump the ingredients into the crock pot. 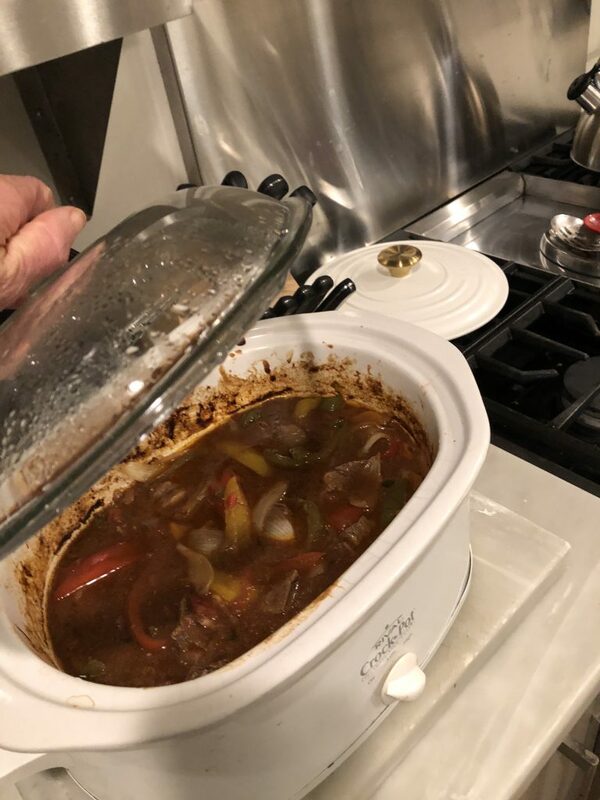 You will empty the salsa into the bottom of the crock pot, then place the Flank Steak strips on top of the salsa, along with the onions, peppers and fajita seasoning. Give that bad boy a good stir, and you are done! Heat it on low for 6-8 hours or High for 3-4 hours. Fajita Seasoning mix (I used a store bought liquid mix, but you can also use a dry mix). The steak was so tender, and even my kids gave this meal a thumbs up!